What is the city? 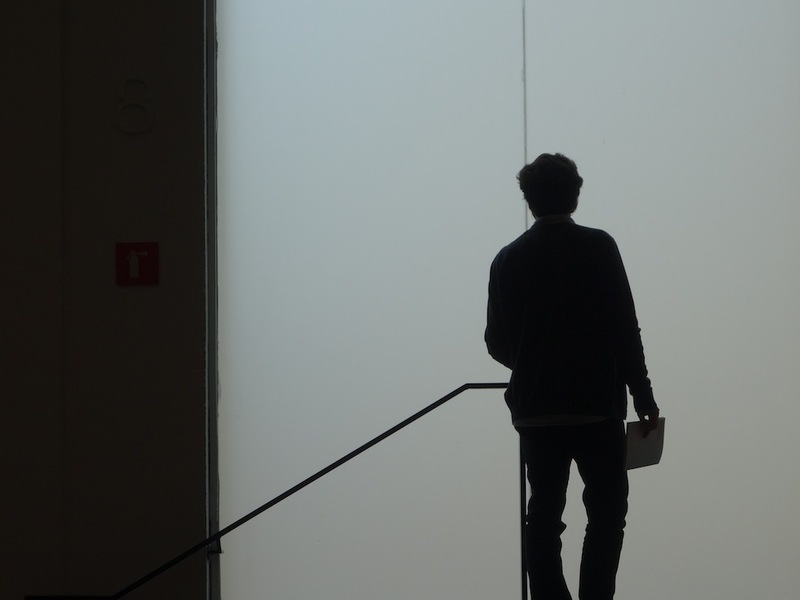 One of the possible ways to define the urban world is through the presence of architecture. In this series of conversations, the creators of Q9 magazine tell us, individually, about a specific building in Barcelona: the one that for one reason or another, has always drawn their attention. Every conversation with these young experts in architecture, will help us to reflect on the perception, the experience and the cohabitation that people have with these works of art in which we can live. You are about to complete your architecture studies. Yes, I still have the final project to do, but through the magazine I have started to experience the reality that involves this profession. Exactly, creating content and events for our magazine is a work based on the intention of materializing our ideas and personal concerns related to architecture. And it does connect us with professional architecture beyond university. The fact that -for now- there is not much money involved in the project, allows us to preserve the purity and passion that has been in the core of it. True. You are reaffirming your voice and your values. You’re are involved in Q9, magazine since the very beginning, how did all start? It was at the end of October 2012 during a trip to Aragon; Javi (Javi Oliver) who is also part of the project from its root, and I spent many hours on road sharing our concerns and brain storming. I’ve always wanted to do many things, but I needed a good project where to contextualize them. Javi is a very thoughtful person and came up with the idea of creating a publication where to collect projects, architectural ideas, etc.. In fact, he already had a very defined idea and we felt it was the perfect time to start it. So, the following Tuesday we were starting to develop the project at the Q9. Where and what is the Q9? It is a working classroom at the Ramon Llull University, in La Salle, the building located above the Plaza Bonanova. The interesting thing of the Q9 classroom is that all the different courses go there to work, so it is a very transversal space and very horizontal at the same time. We decided to name our publication after this classroom. We saw that we could not start the project on our own and we began to invite people to participate. 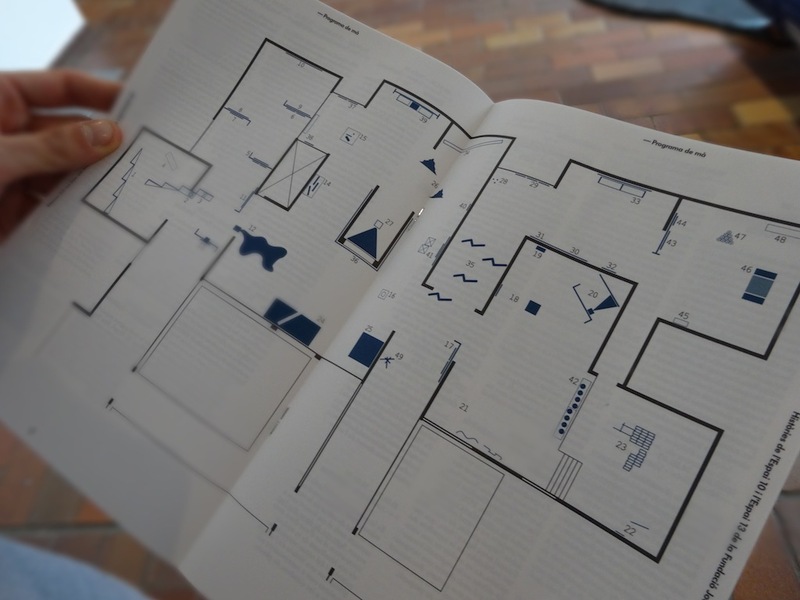 Today the magazine is not only based on the theoretical aspect of architecture, but it has also developed a practical one based in various projects. I can give you two examples of these: the first one is the schoolyard of the school Mare de Déu in Castellvi de Rosanes. We considered various options for this project with people from our university, studying very well the needs of the place and keeping in mind that the budget was limited, the process was really open: we also involved parents, students, teachers, the council of the municipality and the architecture studio X+X. The project has been very well received and the town’s Mayor himself has told us that he will try to seek funding to carry out the project in its entirety. This is very good news. And what about the second example? We are organizing a workshop in Majorca. The origin of this idea was a series of workshops that the Association of Architects organized on the island, but they stopped doing them a while ago. Now, with the strength of the Q9 Magazine, we want to start them again. So, we are making a big campaign of production, organization and media. It is a big project and we are very excited with it because it will be very interesting to establish a connection with the young architects who get enrolled in the course with established professionals like Jaime Coll, Tomeu Ramis, Narcissus Fountain, Jon Tugores and Josep Bohigas, among others. 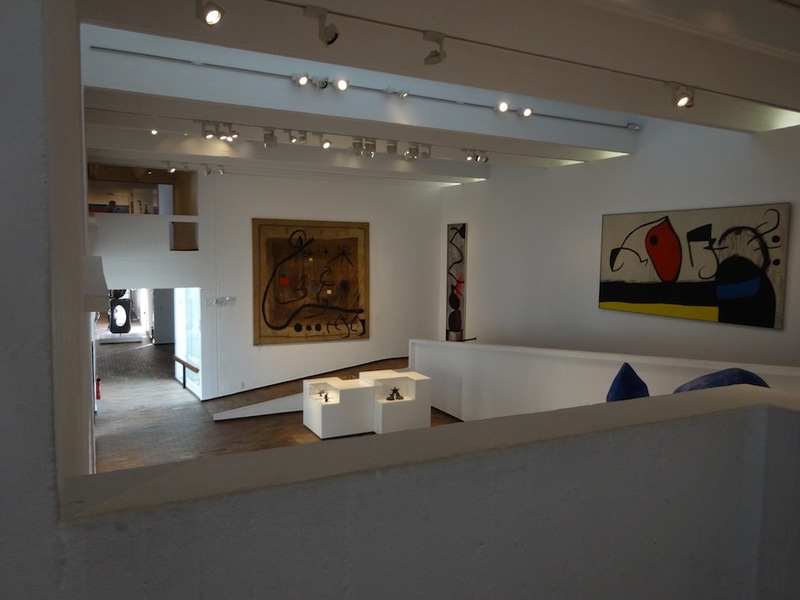 In fact, in Mallorca there is also an other Fundació Miró. Yes, the artist Joan Miró had a workshop in Mallorca and it is also by the architect Josep Lluís Sert who was a close friend of Miró. In fact, both in the studio and in the Fundació of Barcelona, you can see how Sert was really familiar with the essence of Miró in order to collaborate with him on these projects. 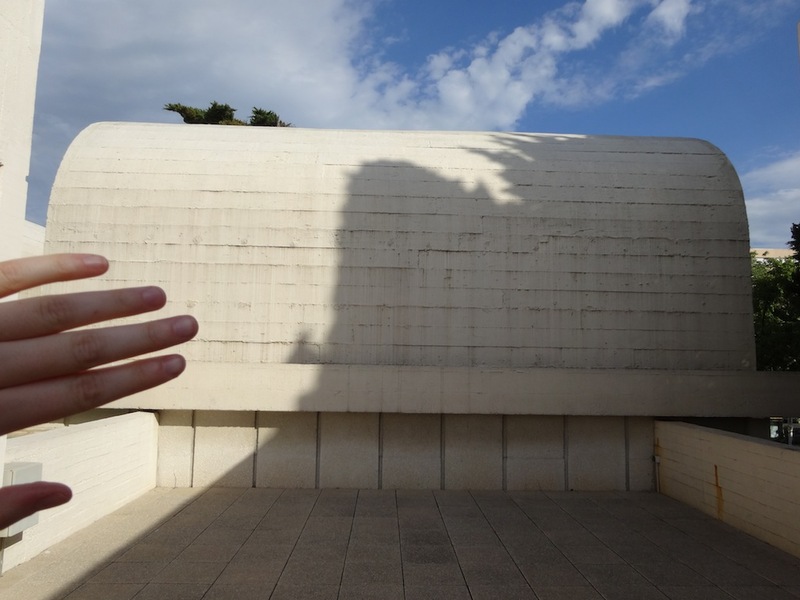 The Miró Foundation in Mallorca was built in 1987 and is entirely signed by Rafael Moneo. Sert’s project for the one in Barcelona was completed in 1975 and in 1988, extended by Jaime Freixas. 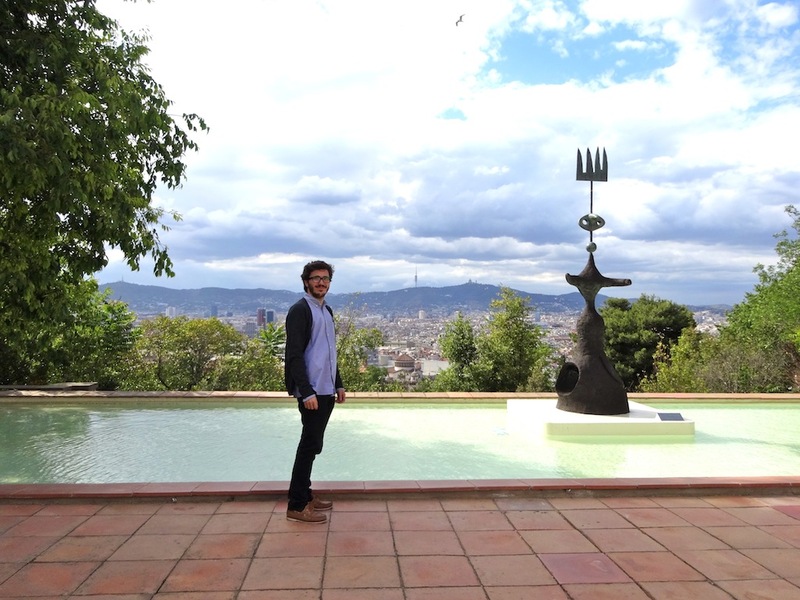 What is your relationship with the Miró Foundation in Barcelona? I already came here with my parents as a small kid; at the time, I was completely fascinated by the fountain of mercury, I loved its movement, the weight of the mercury falling, and the influence of Calder… Later in my life, I worked here and I got very familiar with the building: with all its details such as the way in which the pavement in placed in a way that coincides with the ceiling vaults or the irregular texture of the walls. 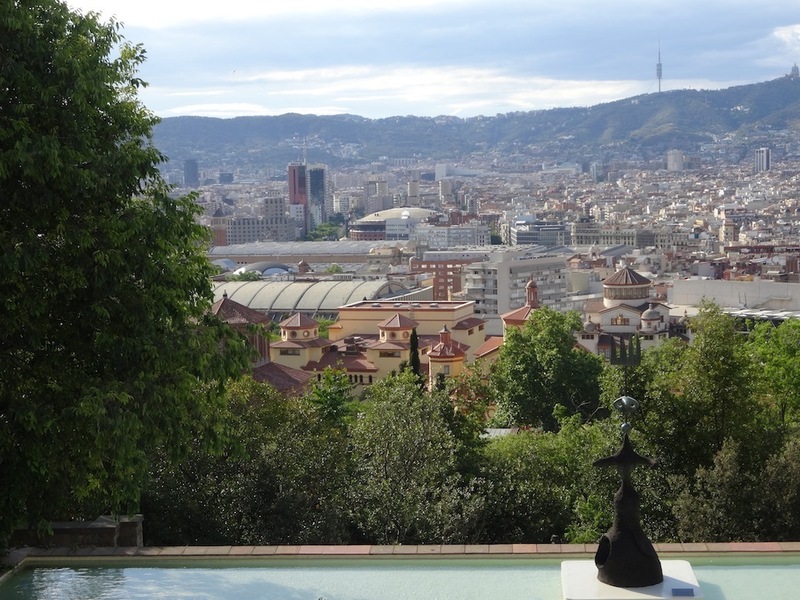 I love the location, the incredible views you can see from Montjuïc and the semi wild surroundings that we have here. The building is very sincere, seeking the integration with the landscape without intervening aggressively. The spaces are created in a way that bring comfort to people, actually I always thought that I could live here very well although perhaps the proportions are a bit excessive. But, it doesn’t have the monumentality we mentioned in Miguel Angel’s conversation. True. Here there is no pretention of grandeur, this space is closer to an art gallery than to a museum in its traditional sense of museum. Sert thought that Miró’s work was important enough and didn’t needed to be enhanced by any sort of majestic building that contained it. Then, look at how all the elements of the Mediterranean architecture are present here: the whiteness of its facades, its central courtyard that looks inside and creates an atmosphere of seclusion, the ceramics pavement, the presence of water, the flat roof, even the olive tree Sert wanted to plant in the yard, the symbol par excellence of the Mediterranean as well as the cypresses like the ones at the entrance. Subsequently, in the yard that belongs to the expansion, Freixas planted a carob tree, the tree that Miró had by his home in Mallorca. In theory the rooms should have a lot more light, but many windows were covered up in order to guarantee the best preservation of the works. 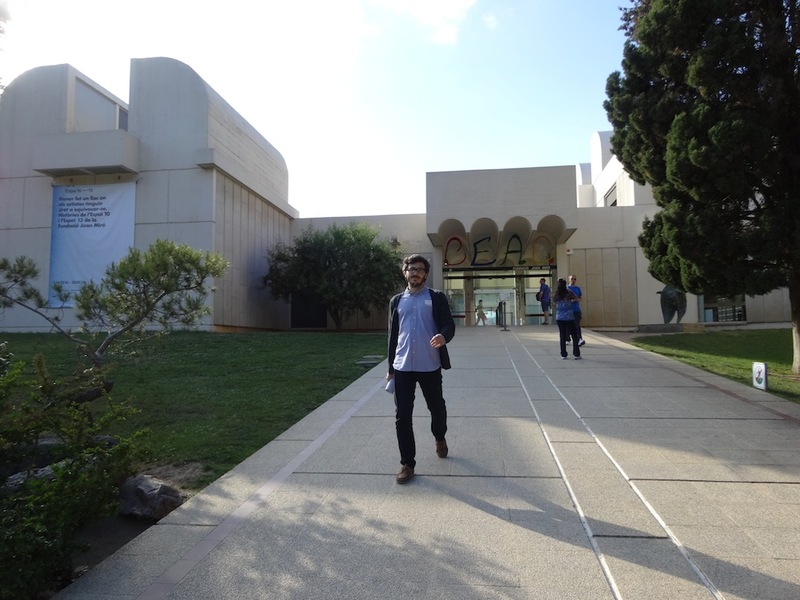 Also, this is a very seductive building: it allows you to see a whole hallway or whole room with just a glance, but at the same time you can always find some hidden corners or the fact that it accompanies your walk through it with its slopes that subtly go uphill or downhill making transitions from one space to another without you being fully aware of it. Towards one end of the building there is a room with a ramp that leads to the upper floors, that one is really pronounced, Sert designed it specifically to be able to observe the sculptures located in the centre of the room from as many angles as possible. After climbing that ramp, what can we find in the upper floors? 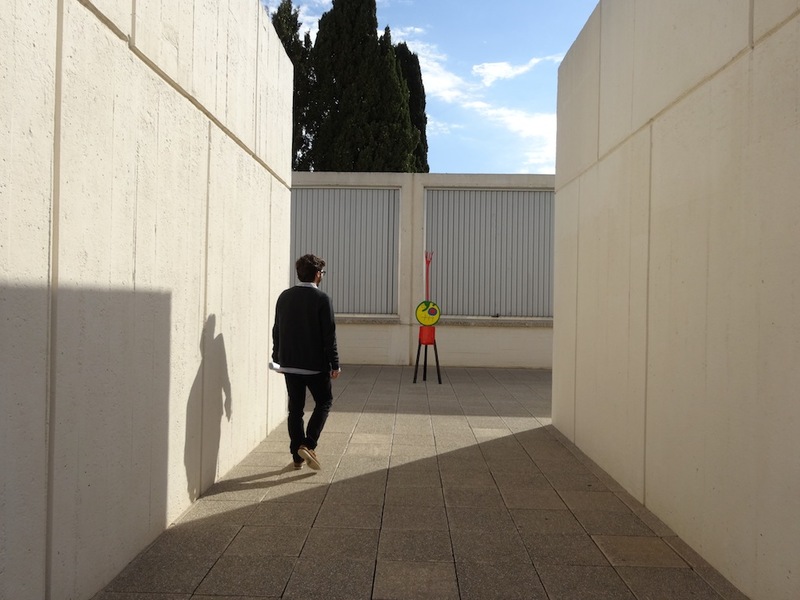 Well, besides the Miró Foundation, the building is also the Interpretation Centre of Contemporary Art. Around 1968 the City Council gave this land also thinking that the building would have this function. But now in Barcelona there are many contemporary art centres so what really stands out here is the figure and the work of Miró. But in the top floor, there is also this Centre with its library and a very important file. The building was inaugurated on 10 June 1975. What did the inauguration of such a unique facility in such a unique time mean for Barcelona? 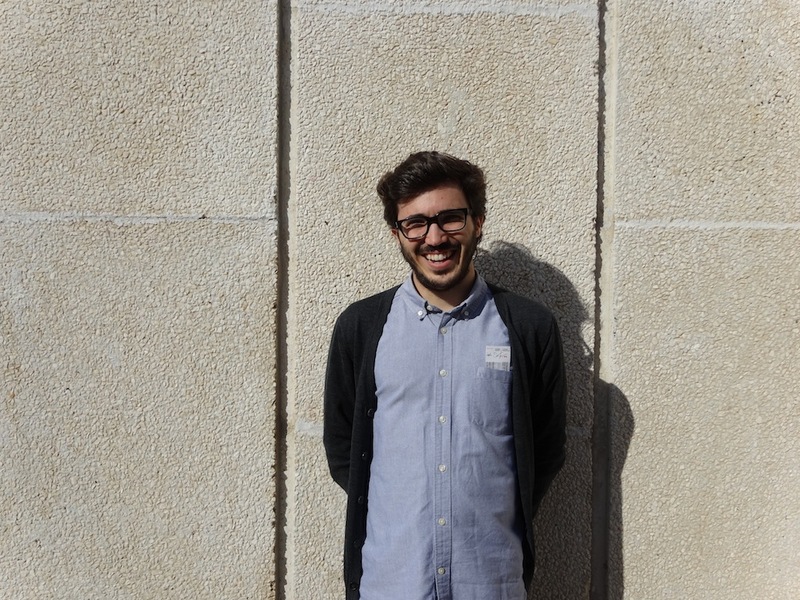 Other conversations with Q9’s members: Miguel Angel Aguiló and more coming soon! ¿Qué es la ciudad? Una de las posibles maneras de definir el espacio urbano es mediante la presencia de arquitectura. En esta serie de conversaciones, los creadores de la revista Q9 nos destacan, de manera individual, un edificio barcelonés: aquél que por un motivo u otro, siempre les ha llamado la atención. Cada conversación con estos jóvenes expertos en arquitectura, nos ayudará a reflexionar sobre la percepción, la experiencia y la convivencia que los ciudadanos mantenemos con estas obras de arte dentro de las cuales se puede vivir. Estás en la recta final de la carrera de arquitectura. Sí, me queda el proyecto final, pero estoy con un pie más fuera que dentro y comenzando a ver la realidad que rodea a esta profesión. Trabajando en la revista Q9 ya estás en activo. Exacto, crear contenido y eventos para la revista es un trabajo que parte de la inquietud personal y de la ilusión por hacer que muchas ideas se materialicen. 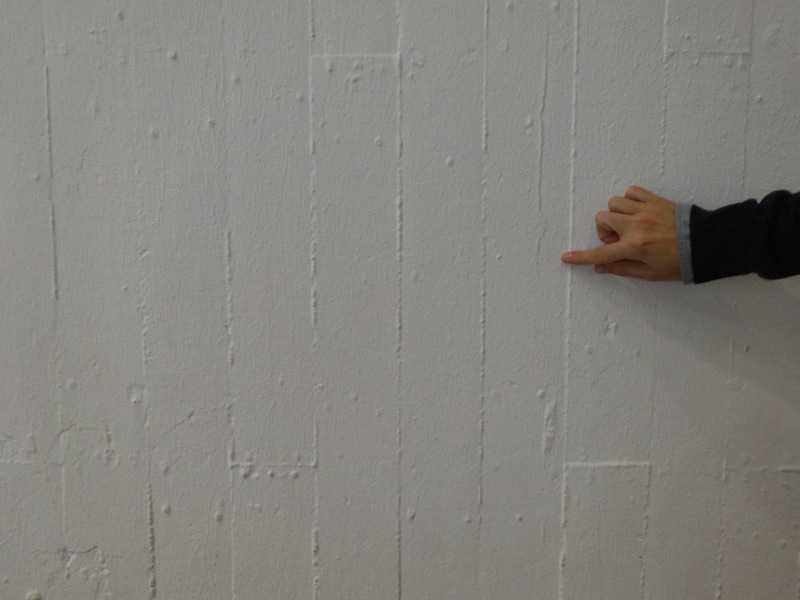 Esto nos conecta con el ámbito profesional de la arquitectura más allá de la Universidad. El hecho de que -por ahora- no haya mucho dinero de por medio, nos permite conservar esta pureza y la pasión que debe estar en el origen de todo proyecto. Es cierto. Esáis reafirmando vuestra voz y vuestros valores. Tú eres uno de los artífices de la Q9, ¿cómo empezó todo? Fue a finales de Octubre del 2012 durante un viaje a Aragón, hablando con Javi (Javi Oliver), que también forma parte del proyecto desde su raíz. Mientras hacíamos horas y horas de carretera, fuimos compartiendo nuestras inquietudes. Yo siempre he querido hacer muchas cosas, pero quizás me había faltado tener un buen proyecto detrás. 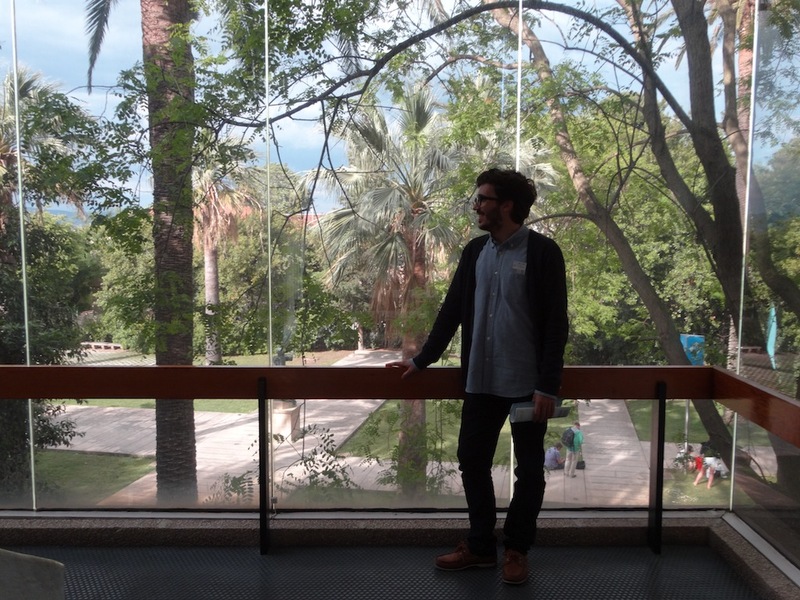 Javi es una persona muy reflexiva y propuso que estaría bien crear una publicación donde recoger proyectos, propuestas de arquitectura, etc. En realidad él ya tenía una idea muy definida y nos pareció que era el momento perfecto para sacarla adelante. Así que el martes siguiente quedamos a la Q9 para empezar a desarrollar el proyecto. Es un aula de trabajo de la Universidad Ramon Llull, de la Salle, en el edificio situado por encima de la Plaza Bonanova. La gracia que tiene esa aula es que allí se encuentran todos los diferentes cursos para trabajar, se trata de un espacio muy transversal y al mismo tiempo, horizontal. Decidimos ponerle el nombre de esta Aula a nuestra publicación. Vimos que solos no podíamos llevar el proyecto y empezamos a invitar a gente para que participara en él. Ahora la revista tiene una base teórica y también una parte más práctica de proyectos diversos. De estos últimos te puedo dar dos ejemplos: el primero es el patio de la Escuela Virgen de Castellvi de Rosanes. Planteamos varias opciones para este proyecto con gente de nuestra universidad, estudiando muy bien las necesidades del lugar y teniendo presente que el presupuesto era muy limitado, el proceso fue muy abierto: también intervinieron padres, alumnos, profesores, el ayuntamiento del municipio y el despacho de arquitectura X+X. El proyecto ha tenido muy buena acogida y el propio alcalde de Castellvi nos ha comentado que tratará de buscar financiación para poder llevar a cabo el proyecto en su totalidad. Esto es una muy buena noticia. Y, ¿el segundo ejemplo? Estamos organizando un workshop en Mallorca. El origen de esta idea eran una serie de talleres que el Colegio de Arquitectos organizaba en la isla, pero se dejaron de hacer. Ahora con la fuerza de la Q9, lo hemos querido retomar y estamos haciendo una campaña muy grande de producción, de organización, de comunicación. Es un gran proyecto del que estamos muy contentos, será muy interesante y acercará a los jóvenes arquitectos que se matriculen a profesionales de la arquitectura ya consolidados como Jaime Coll, Tomeu Ramis, Narcís Font, Jon Tugores o Josep Bohigas, entre otros. De hecho, también en Mallorca hay una fundación Miró. Sí, el taller de Miró en Mallorca, también está ideado por el arquitecto Josep Lluís Sert que era muy amigo de Miró. De hecho, tanto en el taller como en la fundación de Barcelona se puede intuir como Sert se había empapado de la esencia de Miró para colaborar con él en estos proyectos. 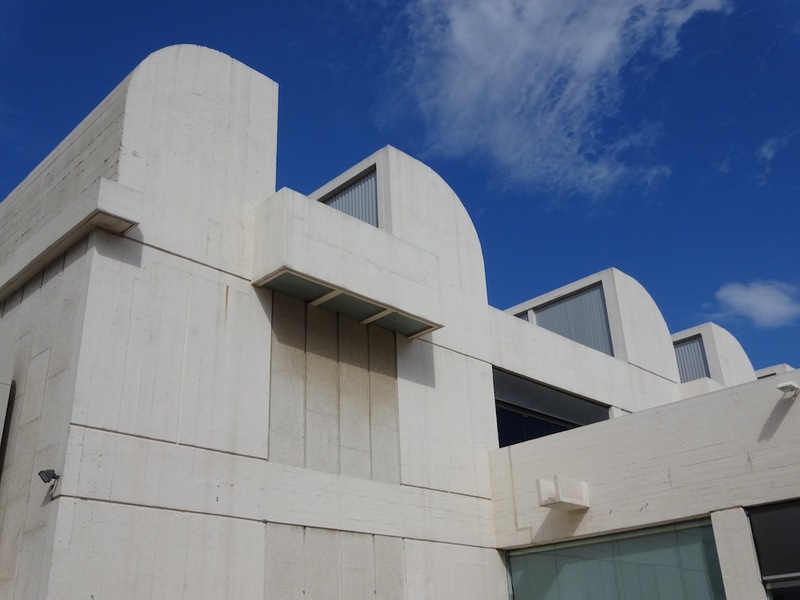 La fundación Miró de Mallorca es del año 1987 y está firmada por Rafael Moneo. La fundación de Barcelona tiene dos partes (aunque ambas están muy bien integradas): la de Sert que se inauguró en 1975 y la posterior ampliación del año 1988 a cargo de Jaume Freixas. ¿Cuál es tu vínculo con la fundación Miró de Barcelona? Ya venía de pequeño con mis padres, desde entonces que la fuente de mercurio me tiene hipnotizado con su movimiento, el peso del mercurio cuando cae, la influencia de Calder… Después trabajé aquí y me familiaricé mucho con el edificio, con todos sus detalles como por ejemplo la manera en que el pavimento está dispuesto coincidiendo con las bóvedas del techo o la textura irregular de los muros. Me gusta mucho por la localización, las vistas que se ven desde Montjuïc y el entorno semi salvaje que hay aquí. El edificio es muy sincero, busca integrarse en el paisaje donde se encuentra, sin intervenir de manera agresiva. Los espacios están creados de una manera que te aportan un cierto confort, siempre he pensado que aquí se podría vivir muy bien a pesar de que quizás las proporciones son un poco excesivas. Pero no tiene esta monumentalidad que comentábamos en conversación con Miguel Angel. Eso es. Aquí no hay ninguna pretensión de monumentalidad, el espacio es más cercano a una galería de arte que a un museo en su sentido más tradicional. Sert pensó que la obra de Miró era suficientemente importante y no necesitaba ser realzada por ningún edificio majestuoso que la contuviera. Luego, observa como todos los elementos de la arquitectura Mediterránea están presentes aquí: la blancura de sus fachadas, su patio central que mira hacia dentro y genera una atmósfera de recogimiento, la cerámica del pavimento, la presencia del agua, el tejado plano, incluso el olivo que Sert quiso plantar en el patio, símbolo por excelencia del Mediterráneo así como los cipreses que hay en la entrada. 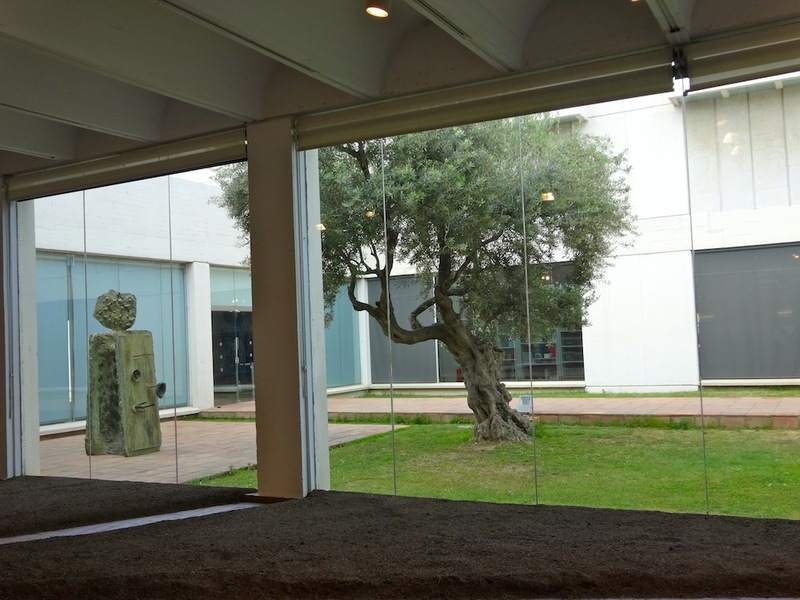 Posteriormente, en el patio que forma parte de la ampliación, Freixas quiso plantar un algarrobo, el árbol que Miró tenía en su casa de Mallorca. En teoría debería entrar mucha más luz en las salas, pero muchas ventanas se taparon tapando para garantizar que las obras se conserven mejor. También, es un edificio muy seductor: te permite recorrer todo un pasillo o una sala con la mirada, pero al mismo tiempo siempre puedes encontrar algunos rincones más escondidos o, el hecho de que te va acompañando en sus desniveles que vas bajando o subiendo, haciendo transiciones de un espacio a otro sin que seas del todo consciente de ello. Hacia uno de los extremos del edificio hay una sala con una rampa que sube a los pisos superiores, allí sí que la subida es muy pronunciada, Sert la proyectó expresamente para poder observar las esculturas situadas en el centro desde el máximo número de ángulos posibles. Cuando subes a esta rampa, ¿qué encuentras en las plantas superiores? 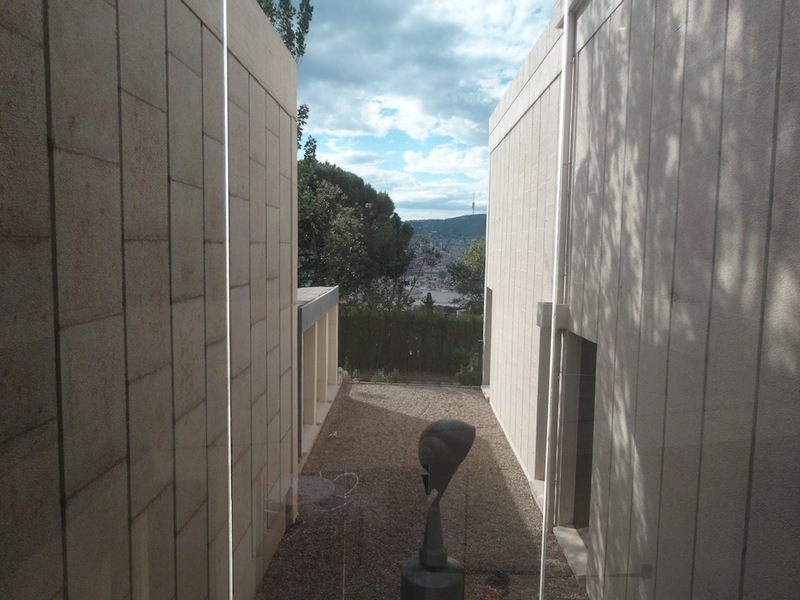 Bueno, aparte de la fundación Miró, este edificio también es el Centro de Interpretación de Arte Contemporáneo. Alrededor del 1968, el Ayuntamiento cedió el terreno pensando también en esta función, pero en Barcelona ya hay varios centros de arte contemporáneo por tanto lo que más destaca de aquí es la figura y la obra de Miró. Pero arriba también está este centro con una biblioteca y un archivo bastante importante. El edificio se inauguró el 10 de junio de 1975. ¿Qué implicó en Barcelona que este equipamiento tan singular se inaugurara en un año tan particular? Otras conversaciones con miembros de la Q9: Miguel Angel Aguiló y muy pronto más. Ets a la recta final de la carrera d’arquitectura. Sí, encara em queda el projecte final, però estic amb un peu més a fora que a dintre i començant a veure la realitat que envolta aquesta professió. Treballant a la revista Q9 ja estàs en actiu. Exacte, crear contingut i esdeveniments per a la revista és una feina que parteix de la inquietud personal i de la il·lusió de fer que moltes idees es materialitzin. Això ens connecta amb l’àmbit professional de l’arquitectura. El fet que —per ara— no hi hagi gaires diners pel mig ens permet conservar aquesta puresa i la passió que cal que sigui present en l’origen de tot projecte. És cert. Esteu reafirmant la vostra veu i els vostres valors. Tu ets un dels artífexs de la Q9. Com va començar tot? Va ser a finals de l’octubre del 2012 durant un viatge a l’Aragó, parlant amb el Javi Oliver, que també forma part del projecte des de la seva arrel, mentre fèiem moltes hores de carretera i anàvem compartint les nostres inquietuds. Jo sempre he volgut fer moltes coses, però potser m’havia faltat tenir un bon projecte al darrere. El Javi és una persona molt reflexiva i va dir que estaria bé crear una publicació en què recollir projectes, propostes d’arquitectura, etc. En realitat ell ja tenia una idea molt definida i ens va semblar que era el moment perfecte per tirar-la endavant. Així que el dimarts següent vam quedar a la Q9 per començar a desenvolupar el projecte. És una aula de treball de la Universitat Ramon Llull, de La Salle, l’edifici situat per sobre de la plaça de la Bonanova. La gràcia que té aquella aula és que allà es reuneixen tots els diferents cursos per treballar; és un espai molt transversal i, al mateix temps, horitzontal. Vam decidir posar-li el nom d’aquesta aula a la publicació. Vam veure que sols no podíem portar el projecte i vam començar a convidar gent perquè hi participés. Ara, la revista té una part teòrica i també una vessant més pràctica de projectes diversos. D’aquests darrers te’n puc donar dos exemples: el primer és el pati de l’escola Mare de Déu de Montserrat de Castellví de Rosanes. Vam plantejar vàries opcions per a aquest projecte amb gent de la nostra universitat, estudiant molt bé les necessitats del lloc i tenint present que el pressupost era molt limitat. El procés va ser molt obert: també hi van intervenir pares, alumnes, professors, l’Ajuntament del municipi i el despatx d’arquitectura X + X. El projecte ha tingut molt bona rebuda i el mateix alcalde de Castellví ens ha comentat que mirarà de buscar finançament per poder dur-lo a terme en la seva totalitat. Això és una molt bona notícia. I el segon exemple? Estem organitzant un workshop a Mallorca. L’origen d’aquesta idea eren una sèrie de tallers que el Col·legi d’Arquitectes de Catalunya organitzava a l’illa, però es van deixar de fer. Ara, amb la força de la Q9, els hem volgut reprendre; estem fent una campanya molt gran de producció, d’organització i de comunicació. És un gran projecte del qual n’estem molt contents, serà molt interessant i aproparà els joves arquitectes que s’hi matriculin a professionals consolidats com ara Jaime Coll, Tomeu Ramis, Narcís Font, Jon Tugores o Josep Bohigas, entre d’altres. De fet, també a Mallorca hi ha una Fundació Miró. Sí, el taller de Miró a Mallorca, que també està fet per l’arquitecte Josep Lluís Sert, molt amic de Miró. De fet, tant en el taller com en la Fundació de Barcelona es pot intuir com Sert s’havia amarat de l’essència de Miró per col·laborar amb ell en aquests projectes. 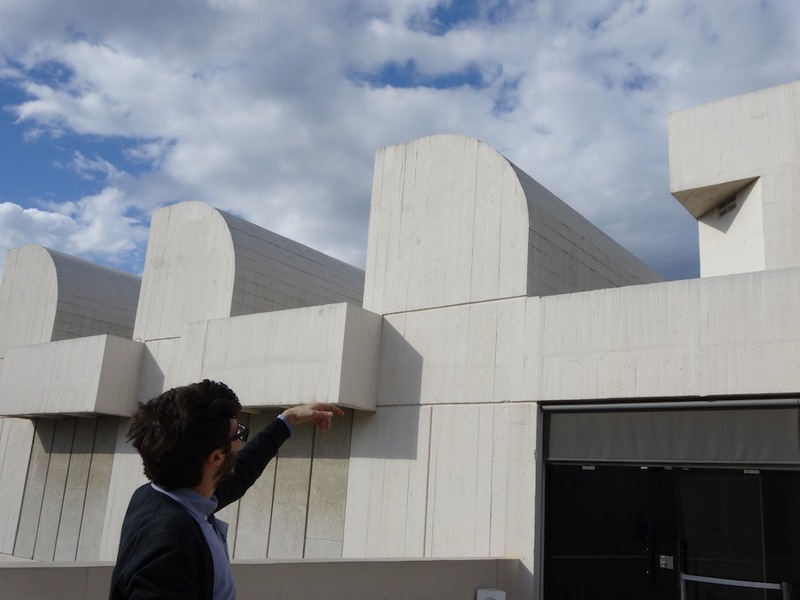 La Fundació Miró de Mallorca és de l’any 1987 i està firmada per Rafael Moneo. Aquí a Barcelona, l’any 1988, es va fer una ampliació del projecte de Sert a càrrec de Jaume Freixa. 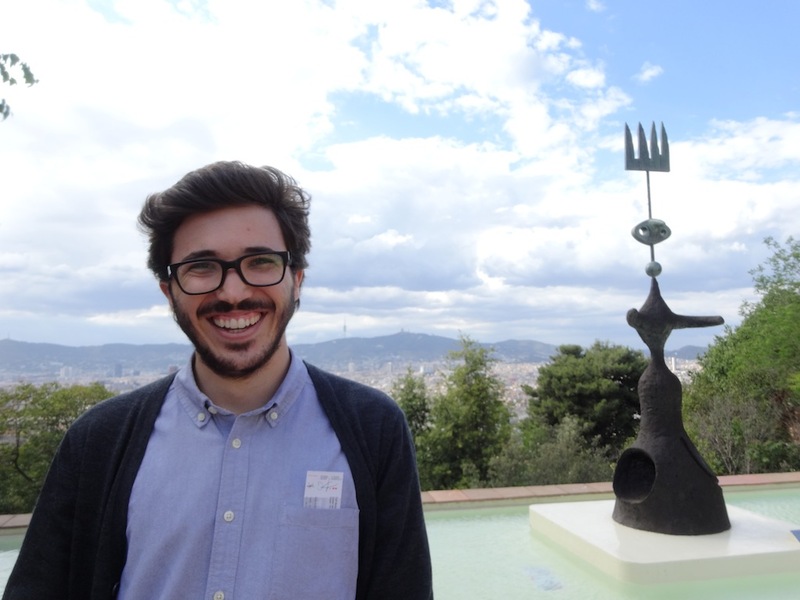 Quin és el teu vincle amb la Fundació Miró de Barcelona? Ja hi venia de petit amb els meus pares. 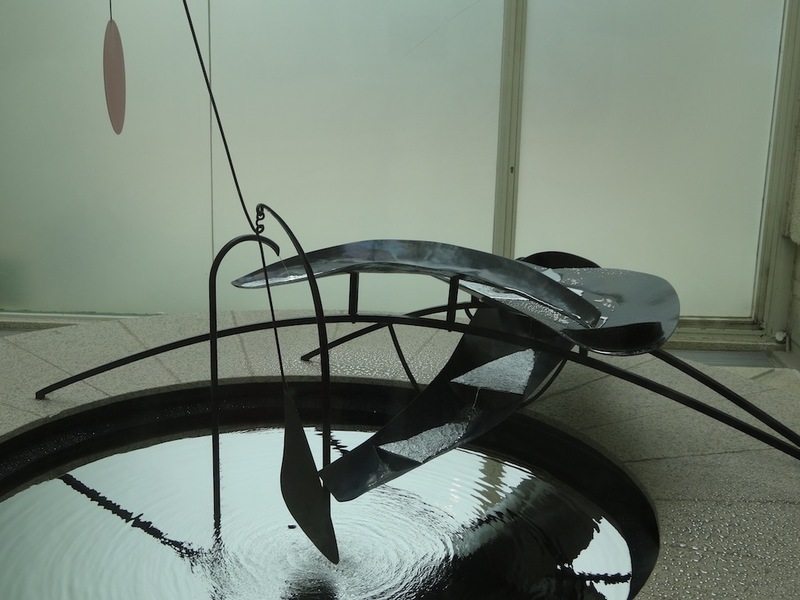 Des de llavors que la Font de mercuri em té hipnotitzat amb el seu moviment, el pes del mercuri quan cau, la influència de Calder… Després vaig treballar aquí i em vaig familiaritzar molt amb l’edifici, amb tots els seus detalls, com per exemple la manera en què el paviment està disposat, coincidint amb les voltes del sostre, o la textura irregular dels murs. M’agrada molt per la localització, les vistes que es tenen des de Montjuïc i l’entorn semisalvatge que hi ha aquí. L’edifici és molt sincer, busca integrar-se en el paisatge on es troba sense intervenir-hi de manera agressiva. Els espais estan creats d’una manera que t’aporten un cert confort; sempre he pensat que aquí s’hi podria viure molt bé, malgrat que potser les proporcions són una mica excessives. Però no té un caràcter monumental. Això mateix. Aquí no hi ha cap pretensió de monumentalitat, l’espai és més proper a una galeria d’art que a un museu en el seu sentit més tradicional. Sert va pensar que l’obra de Miró era prou important i no necessitava ser realçada per cap mena d’edifici majestuós que el contingués. Després, observa com tots els elements de l’arquitectura mediterrània hi són presents, aquí: la blancor de les façanes, el pati central, que mira endins i genera una atmosfera de recolliment, la ceràmica del paviment, la presència de l’aigua, la teulada plana i fins i tot l’olivera que Sert va voler plantar al pati, símbol per excel·lència de la Mediterrània, com els xiprers que hi ha a l’entrada. Posteriorment, al pati que forma part de l’ampliació, Freixa hi va voler plantar un garrofer, l’arbre que Miró tenia a la seva casa de Mallorca. En teoria hi hauria d’entrar molta més llum, a les sales, però moltes finestres es van acabar tapant per garantir que les obres es conservessin millor. També, es un edifici molt seductor: et permet recórrer tot un passadís o una sala amb la mirada, però al mateix temps sempre hi pots trobar alguns racons més amagats; o el fet que et va acompanyant en els seus desnivells, que vas baixant o pujant, fent transicions d’un espai a l’altre sense que en siguis del tot conscient. En un dels extrems de l’edifici hi ha una sala amb una rampa que puja cap als pisos superiors; aquesta sí que és molt pronunciada. Sert la projectar expressament per poder observar les escultures situades al centre des del màxim nombre d’angles possible. Quan puges en aquesta rampa, què hi trobes, a les plantes superiors? Bé, a part de la Fundació Miró, aquest l’edifici també és el Centre d’Estudis d’Art Contemporani. Al voltant del 1968 l’Ajuntament va cedir el terreny pensant també en aquesta funció, però a Barcelona ja hi ha diversos centres d’art contemporani; per tant, el que més destaca d’aquí és la figura i l’obra de Miró. Però a dalt també hi ha aquest centre, amb una biblioteca i un arxiu força important. L’edifici és va inaugurar el 10 de juny del 1975. Què va implicar per a Barcelona que aquest equipament tan singular s’inaugurés en un any tan particular? Altres converses amb membres dela Q9: Miguel Angel Aguiló.